Although I’m a tad late to the party (I only blog once a week), I think I should offer some words of response to the comments Senator Bernie Sanders made last week at the confirmation hearing of Russell Vought, an evangelical Christian. I think some response is in order because the views Sanders espouses have broad cultural appeal, even though they betray misunderstanding, illogic, and hypocrisy. It is very likely most evangelical Christians will have to respond to a similar line of argument, and should be prepared to answer with gentleness and respect (1 Peter 3:15). Sanders: I understand you are a Christian! But this country are made of people who are not just — I understand that Christianity is the majority religion, but there are other people of different religions in this country and around the world. In your judgment, do you think that people who are not Christians are going to be condemned? The Theological Issue. Here we might give Sanders the most grace, as one wouldn’t assume he would know the central teachings of a faith not his own. His ignorance can be excused, although his audacity in decrying orthodox Christianity in his ignorance probably should not be. For the view that Vought attempts to express at several points in the interview includes, as he says, the centrality of Jesus for salvation. At my church we’re in a series on the five “solas” of the Reformation right now, and among them is solus Christus—only Jesus. This is not a peculiar understanding of Christianity, held only by a few radicals; this is the express teaching of Jesus himself, who said, “I am the way and the truth and the life. No one comes to the Father except through me” (John 14:6). The idea that salvation is found in Jesus alone—that there is no other name under heaven whereby all must be saved (Acts 4:12)—is central to the entire story of redemption as revealed in Scripture. Hardly a jot or tittle anywhere in the whole of the Bible would make sense apart from it. It is true that some who profess to be Christians—such as Senator Van Hollen, who joined the questioning—deny the exclusivity of Christ. But as J. Gresham Machen demonstrated almost a century ago in his monumental Christianity and Liberalism, that view is something altogether different from Christianity, and ought to go by a different name. That religion teaches, in the famous words of H. Richard Niebhur, that “A God without wrath brought men without sin into a Kingdom without judgment through the ministrations of a Christ without a Cross.” One may certainly adhere to that religion, but one cannot deny that it is different from the gospel of grace alone through faith alone in Christ alone found throughout the holy scriptures—and on the lips of Jesus himself! The Pluralist Issue. In many ways this is the most troubling part of the exchange. It seems that Sanders displays not only ignorance of Christianity, but also of Islam, Judaism, and really every major religion, for all teach exclusivity of salvation. If it is offensive to millions of Muslims in America that Christianity teaches salvation in Christ alone, is it also offensive to the tens of millions of Christians in America that Islam teaches salvation through Islam alone? The first of the five pillars of Islam is shahada (faith), and requires that every convert utter and believe the phrase, “There is no god but Allah, and Muhammad is the messenger of God.” In other words, a non-Muslim cannot be saved. When orthodox Muslims are candidates for public office, will Sanders ask them if all Christians stand condemned in their view? If they reply in the affirmative, will he accuse them of being Christophobic? Will he ask the same of orthodox Jews? Hindus? Buddhists? It seems, given Sanders’s comments, that the only people fit for public office are those who hold to a heterodox, secularized, pluralist understanding of any religion. And given the illogic inherent in the pluralist position—different religious teachings are mutually exclusive, so they cannot all be true—this seems to be a doubly foolhardy view. The Hypocrisy Issue. That last point—that only secularized views of religion are acceptable—brings out the hypocrisy of Sanders’s views. Though not in the name of any religion, Sanders’s comments imply a wide variety of religious beliefs, such as pluralism and tolerance. But even though this is a “secular” perspective, it is still theological at its core. 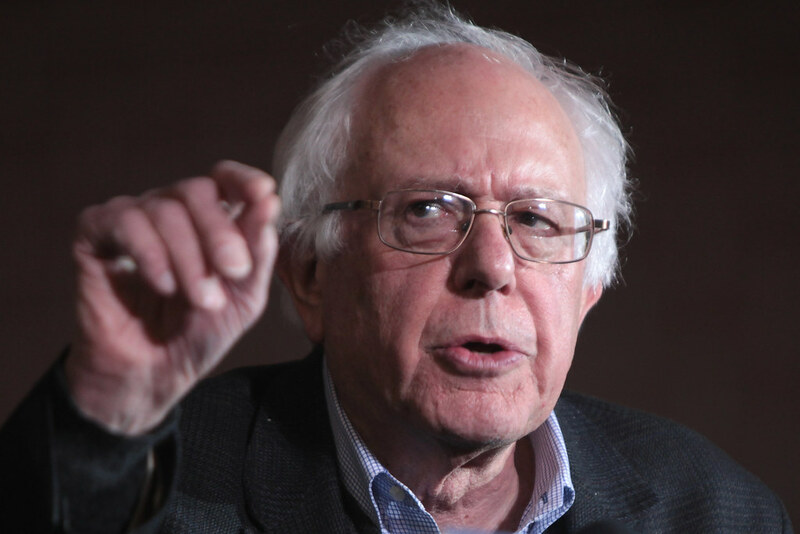 Sanders is making claims about ultimate reality—about God—whether he intends to or not. He is declaring orthodox Christianity suspect, and with it—given the pluralism issue—every major religion. In its place he is extolling the virtue of secular humanism, with its views about deity, humanity, morality, etc. He is, in effect, claiming that his view is exclusively true. This is shocking hypocrisy, because he is making this implicit claim while denouncing the exclusivity of another! Sanders thinks he is right. Vought thinks he is right. The beauty of a democratic republic—one that at least claims to value religious liberty and treasure it as a right—is that both men are entitled to their opinions, and to bring them into the public sphere. The government cannot endorse one or the other, but can welcome men of both faiths into office. Sadly, Sanders, in his hypocrisy, is trying to shut the door to every faith but his own—in essence, asking government to enshrine secular, humanistic pluralism as the official state religion. How should Christians respond? In the words of 1 Peter once more, “with gentleness and respect, keeping a clear conscience.” We need to address the arrogant, illogical, and hypocritical teaching of Sanders with love, humility, and winsome persuasion. Some will have the opportunity to do so on the national scale, and I am grateful for men like Russell Moore who are seeking to do just that. But most of us will have to do it one-on-one, with our family and friends, neighbors and colleagues, who have imbibed the spirit of the age without recognizing the dangers inherent therein. We can ask loving, insightful questions, drawing them out until they begin to see the concerns I’ve expressed today. And above all, we can keep pointing them back to Jesus, because he is the only way—no matter how unpopular that teaching (and it was equally unpopular in the state-sanctioned pluralism of first-century Rome!). Contra the spurious Christianity Niebuhr described, we have sinfully rebelled against a perfect and holy God, and he is justly angry with us. We deserve the condemnation we stand under. But he has made a way. Our punishment fell on Jesus, that we might seek shelter from the storm of God’s wrath through trust in him. Remember, all—Jew and Gentile, Christian and Muslim, secularist and mystic—“have sinned and fall short of the glory of God, and all are justified freely by his grace through the redemption that came by Christ Jesus” (Romans 3:23-24)—and Christ Jesus alone.